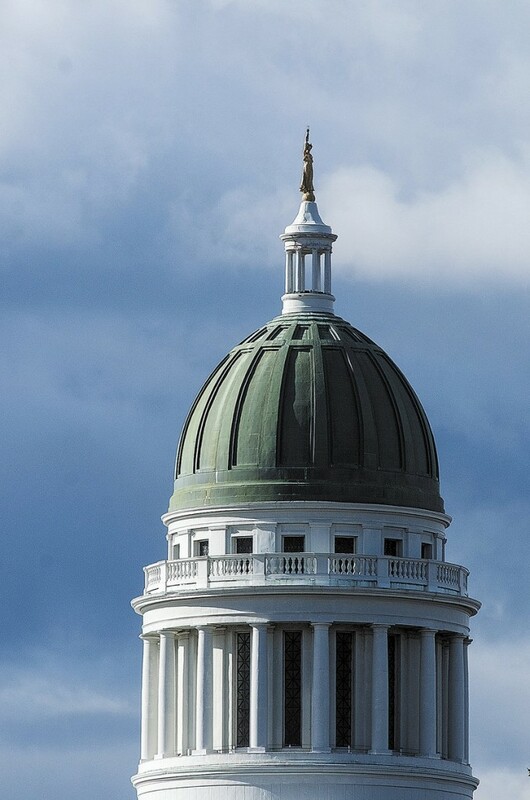 Legislative leaders have postponed a $1.2 million project that will turn the State House dome from green to brown. 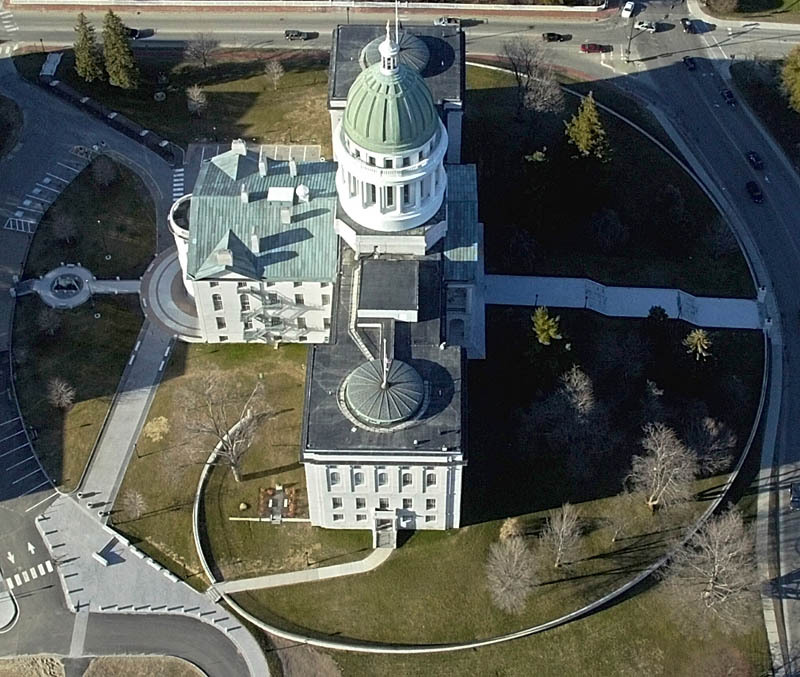 AUGUSTA — A $1.2 million project that will turn the State House dome from green to brown still awaits final approval. Legislative leaders decided Thursday to delay their decision on the eight-month project, scheduled for 2014, to replace the copper sheathing on the dome. The sheathing, weathered to a pale green patina and pockmarked by hail over the years, has been on the dome since the structure was added to the building in 1909-10. Legislative leaders were poised to approve the replacement Thursday but decided they want more information about the dome’s condition. The council’s facilities committee unanimously supports the project. It plans to present more information to the council next month. David Boulter, the Legislature’s executive director, said the copper is 30 years past its 75-year lifespan. Workers have applied sealant to the covering over the years, but it has aged to the point that holes are allowing water to reach the dome’s concrete superstructure. “It’s a once-in-a-100-year project,” Boulter said. Money for the project already has been set aside. Boulter said the Legislature routinely makes allocations to its facilities budget for upkeep on the Capitol grounds. He said legislative leaders historically have paid for improvement projects as needed rather than borrowing. Avoiding interest payments on the dome project will save about $375,000, he said. The most significant change will be the appearance of the dome, which has had its green hue for at least 70 years. Boulter said the new copper sheathing will look like a shiny penny for a few months before oxidation fades the sheen to a dull brown. The brown will remain for about 30 years before the copper returns to the green shade. The dome will be covered in framing during construction, much as it was when workers put the sheathing on it more than a century ago, Boulter said. The project is scheduled to begin in 2014, at the end of the next legislative session. Boulter said the construction was timed to happen between sessions, when lawmakers are typically back in their home districts. According to documents provided by the Maine State Archives, the State House was designed by the famed architect Charles Bulfinch, who also designed the U.S. Capitol, and built from 1829 to 1832. The $145,000 project produced a much smaller building than exists today. The Senate chamber originally was on the fourth floor, now the home of the Judiciary Committee, Boulter said. The original dome was more squat, like a halved beach ball. In 1909, the Legislature added the towering, high-profile dome that exists today. The project, modeled after the U.S. Capitol, was designed by G. Henri Desmond. It also added the House and Senate chambers that exist today. It was completed for $350,000. The copper dome makes Maine’s State House unusual. Only nine other states have copper domes, according the National Conference of State Legislatures. In New England, Maine is the only state with a copper dome. The others have gilded, or gold, domes, except Rhode Island, whose Capitol is topped by white marble.